The Mars Mission Desert Research Station in Hanksville, Utah. The four-member crew is part of an ongoing mission at Utah’s Mars Desert Research Station to study what life will be like for earthlings who make extraterrestrial visits to the Red Planet. And for the first time, they will be testing 3-D printed medical devices. Dr. Julielynn Y. Wong, a preventive medicine physician who is the director of the Center for Innovative Technologies and Public Health, is leading this -- the 145th simulation at the station -- to test out medical technologies in space. 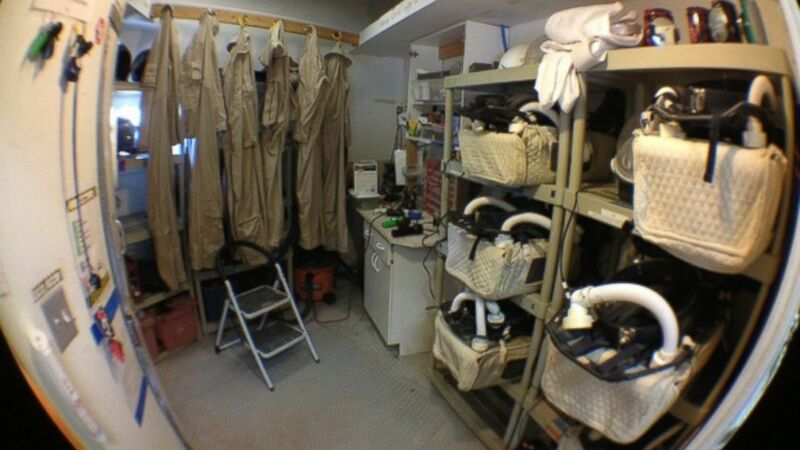 Inside astronauts quarters at the Mars Mission Desert Research Station. Wong has brought along a 3-D printer, which quickly prints out customized finger splints, among other vital medical supplies. She said treating hand injuries will be important for astronauts who make the real trip to Mars because space on the craft will be limited and the ability to print on demand will be essential for survival. 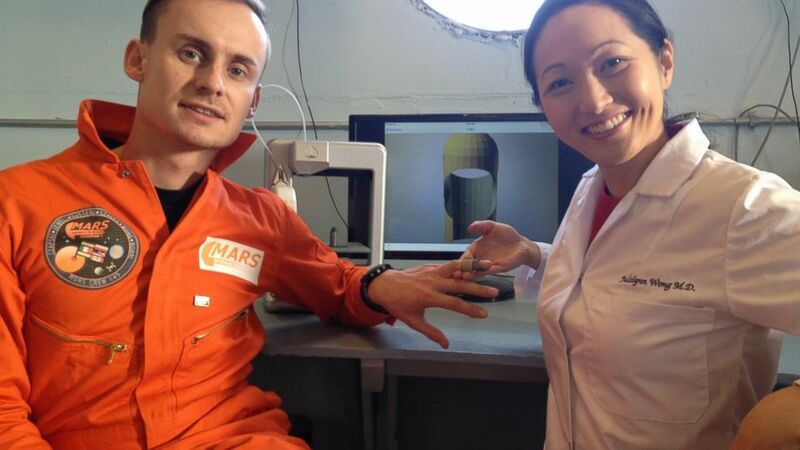 Dr. Julielynn Wong 3D printed a customized finger splint with "Star Trek Replicator." Astronauts who make the actual trip to Mars will face many other unique physical challenges, Wong said. They will spend up to a year in zero gravity during the 225 million-plus-mile trip, which will weaken their bones, shrink their muscles and strain their hearts. Their inner ears will suffer some damage too, so they will have trouble standing and balancing. Once they land on Mars, they will have to learn to function in an environment that has about 30 percent of the gravity of Earth. Wong said she and her team are testing out protocols that will help the Martian astronauts build their strength and conditioning back up as quickly as possible. 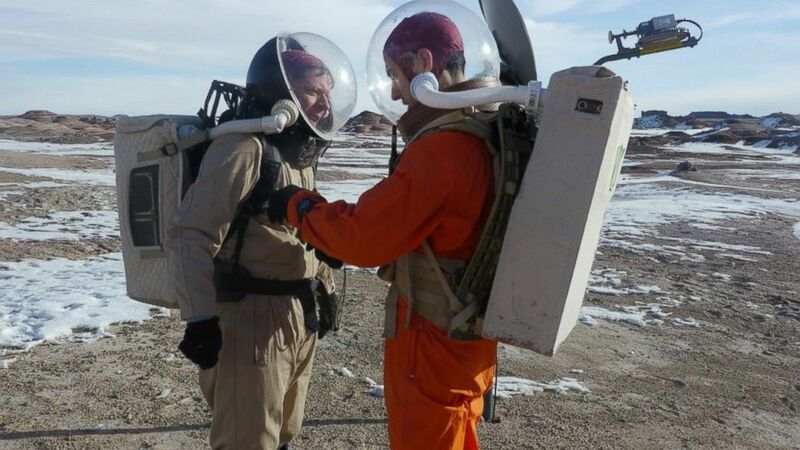 Scientists simulate space walk in the desert near Hanksville, Utah. Beyond the simulation's specific goals, Wong said the crew lives in a similar way to the actual conditions astronauts face. 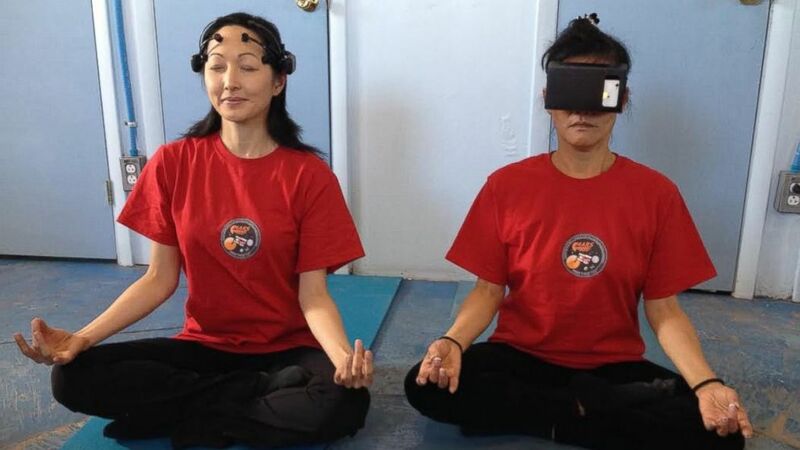 Since living in a crowded, tight space and carrying a heavy workload will be part of the experience, Wong said they are holding daily yoga and meditation breaks while monitoring the effect of the sessions on the brain to see if they will help manage stress. The crew participates in daily yoga and meditation sessions to offset the effects of isolation and confinement on Mars. The crew will also subsist on an astronaut’s limited diet that includes staples such as rice, nuts, dried fruit, cereal and candy. They’re growing some fresh vegetables, but Wong said real space and Martian conditions will limit what and how much can actually be grown. 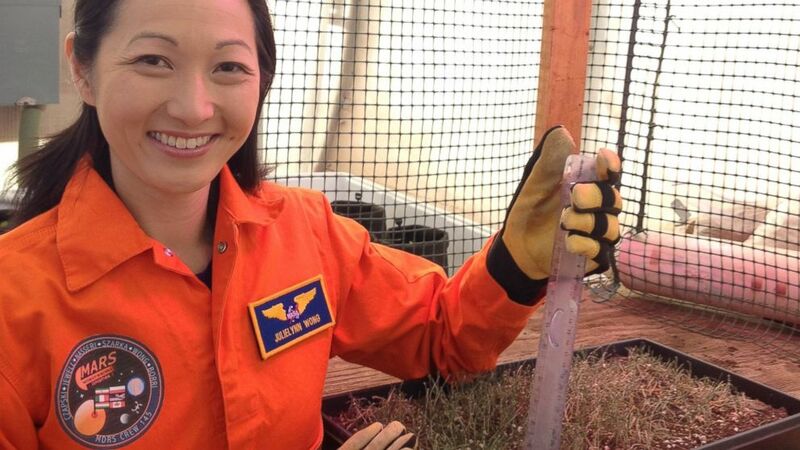 Dr. JulieLynn Wong measures the height of wheatgrass in Mars Mission Simulator's greenhouse. The mock Martian visitors will also have to keep up with daily chores such as inventory, cleaning and taking out the trash. “Even in space you won’t be able to escape the same old mundane chores,” she said. If you're interested in learning more about this simulated mission to Mars, you can chat with the "astronauts" on Twitter for one hour on Tuesday, Dec. 16, at 10:30 a.m. ET and then again at 12:45 p.m. ET. Use the hashtags #challengerosc and #sciencenow for both chats.